RE is a volunteer-staffed education programme in state schools, which runs during school hours. Queensland has a similar programme, Victoria has moved their system to out-of-class time, and SA has a seminar system. The info campaign emphasises that SRE encourages students to ask questions. Can I say whatever I think? Are the best things in life really free? These and other life questions will be debated by parents and children who hear them on radio or see them on bus advertising during this month and September. Christian SRE spokesperson Murray Norman said the campaign will help parents understand more about SRE and their choices. “Education must be holistic, and like sports, music and other areas of education, we can’t ignore the spiritual dimension and the need for children to question, explore and discover the values they build their lives upon,” he explained. He said SRE already has huge support across school communities, with more than 70 per cent of primary school parents choosing to opt in to the program. The campaign brings all the major Christian churches together under the banner of “Christian SRE”. The sponsoring body, the Inter-Church Commission on Religious Education in Schools, spans from Anglican to Orthodox, Catholic to Pentecostal. There are 11,418 accredited SRE teachers in NSW, of which 10,4506 are Christian SRE teachers. 429,790 students attend SRE out of the 780,600 government school students. The public campaign aims to inform parents that SRE supports them in building a better-balanced future for their children. 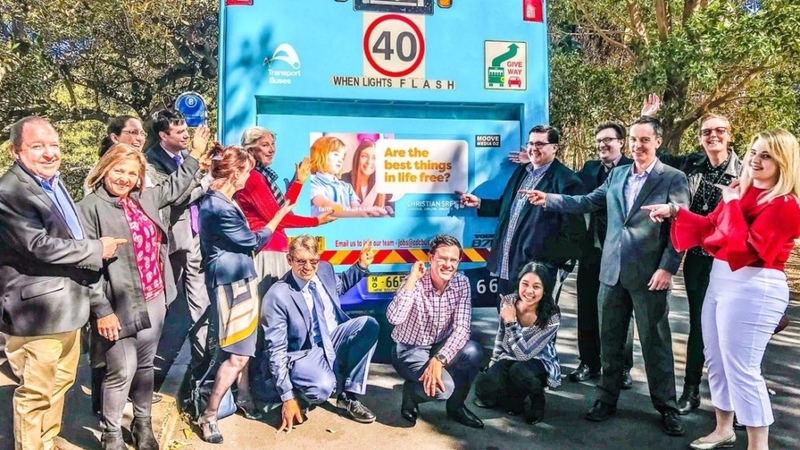 The campaign follows a survey by McCrindle Research that found 99 per cent of people believe it is important to teach values to Australian school students. About 84 per cent believe Christian heritage has been influential in shaping the values that we teach children. It also found that parents overwhelmingly want the choice of faith-based values education, with only 16 per cent of those surveyed opposed to giving parents this choice. “Our experience is that the more information we provide parents, the more they are choosing the option of SRE for their children, so we are hoping this wide-spread campaign ensures that more parents are informed,” Mr Norman said. Next ArticleMeditation in Public Schools: Pro or Con?